Sicily’s position just off the toe of Italy made it a strategic cross-roads for traders and invaders linking Europe, Asia and Africa. Many ancient civilisations from the Phoenicians, Greeks, Romans, Arabs, Normans, Barbarians and Byzantines all left their mark on the island. Here students can visit some of the best-preserved ancient Greek temples and amphitheatres in the world, view roman mosaics as well as ancient settlements allowing them to piece together life under these classical civilisations. Add to all the classical sites, a Mediterranean climate and beautiful scenery and you have the perfect recipe for a Classics school trip. 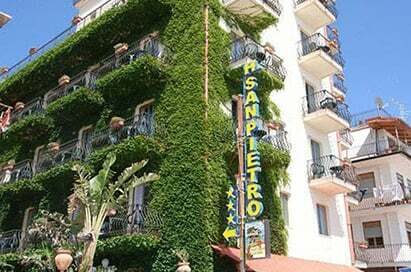 Aci Castello is a city in the province of Catania. The city developed around the castle, which was built in 1076 by the Normans. In 1169, Aci Castello started to grow after an eruption of Mount Etna made the towns around it uninhabitable. Agrigento can be found on the south west of Sicily. It is a medieval town which is home to ruined Greek temples that stand, or partially stand, against a backdrop of the sea. Top sites include the Abbazia di Santo Spirito (abbey), the Temple of Herakles, the Greek roads, gates and walls and the Roman Quarter. Alcamo was founded in 828 by the Muslim commander al‐Kamuk (after whom it is named). 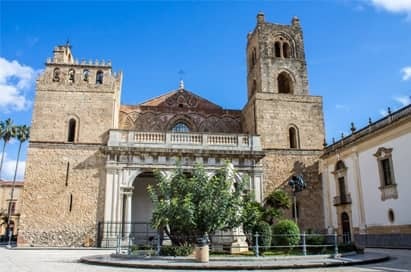 Alcamo contains two important sites. The Castle of the Counts of Modica and Alcamo Cathedral, which has important works of art. Made of rough white stone, this 12th century Norman Castle dominates the Village and the valley below. Pass through the one impregnable wall, walk among ramparts, and visit the Sala di Congiura (Hall of Conspiracy) where in 1160 the barons plo?ed to overthrow King William I.
Lipari is the largest of the eight Aeolian Islands in the Tyrrhenian Sea off the north coast of Sicily, and the name of the island's main town. Lipari is the largest of a chain of eight islands in a volcanic archipelago that straddles the gap between Vesuvius and Etna. Groups can take a day trip to Lipari with a guide and see the stunning rock formations, 6000 year history and powdery grey‐ white beaches with pumice or black with powdered lava. The ferry departs from Milazzo, which is near Taormina on the north east of Sicily. The Cathedral at Monreale reigns high above Palermo, on the north west of Sicily. Top sites include the Façade, Ceilings, Mosaics and the Cloister. The Cathedral faces the lively Piazza Guglielmo, with palm trees and cafés, but the entrance is around to the left in Piazza Vittorio Emanuele, with a fountain in the centre. The city is noted for its rich history, culture, architecture and gastronomy, playing an important role throughout much of its existence; it is over 2,700 years old. 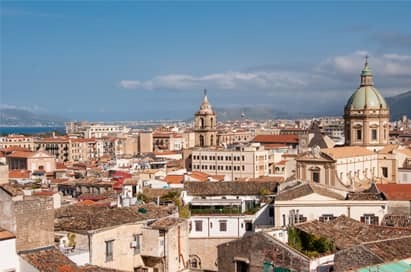 Palermo is located in the north‐west of the island of Sicily, right by the Gulf of Palermo in the Tyrrhenian Sea. Major sites include Palermo Cathedral, mosaics the Crypt and the Norman Tombs. Syracuse was founded in 733BC, and became one of the first Greek colonies on the island. Top sites include the Altar of Hieron II, Castello di Eurialo, the Roman Amphitheatre and the Catacombs of San Giovanni. 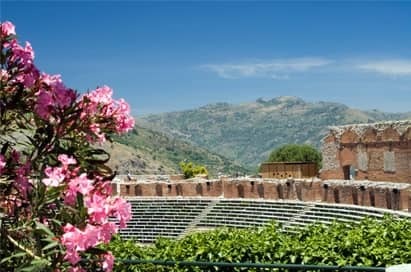 Taormina is on the east of Sicily and has welcomed visitors for centuries. 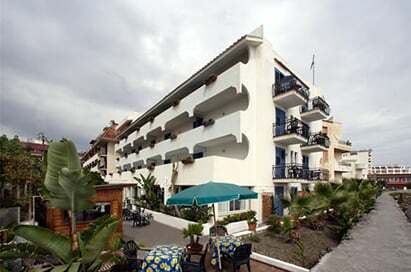 The town, with breathtaking views, has a number of features to abstract groups. Features include the Greek Theatre, Piazza Vittorio Emanuele, Giardino Pubblico and the medieval clock tower. Taormina is on north east of Sicily.